Vintage Soda Collector is a collaboration of both the history and the art of collecting vintage soda content. “Commemorative” But what is it really worth? As for many collectibles, there is a wide range of "Commemorative" items in the soda industry both past and present. But what is a commemorative? How rare are they? What are they worth? Royal Palm was a soda brand distributed widely across Florida, New York and Indiana from the late 20s till early 1980s. 1933 Seminole finally perfects its cola recipe. 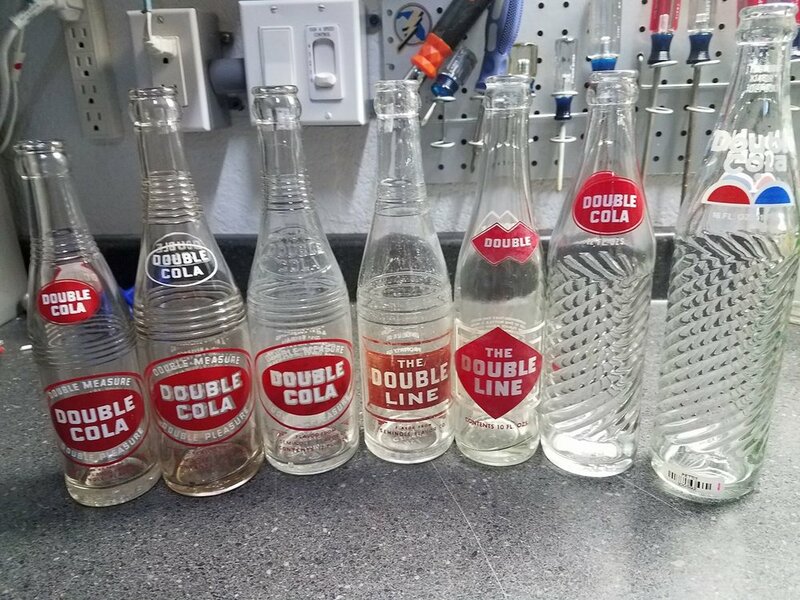 They name their new flagship product Double-Cola, because its 12 ounce bottle was twice the size of other soda bottles being sold at the time. 1957 Double-Cola becomes the first major soft drink to be marketed in a 16 oz. returnable bottle.